Heavy-Duty silver gray or black powder-coated aluminum construction base for weather resistance and structural integrity. 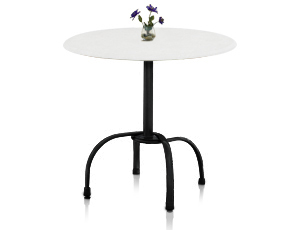 Two adjustable leg levelers balance table base on uneven surfaces. Easy to secure with metal chain and padlock for storage. 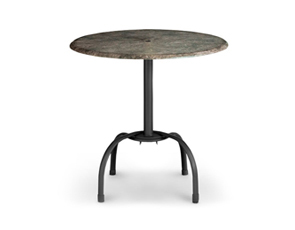 The bar height tulip table base was specifically engineered to rely on the weight of an umbrella and umbrella base to maintain stability. Measures 41-1/4"H.